As the Marvin Gaye song lyric goes, “Ain’t nothing like the real thing, Baby.” And while that might be a good motto to live by, when it comes to home trends and décor, today it’s all about faux. You can have a great-looking place, even if it wasn’t built that way, and without a huge expense. And because many of these items that stand in for the “real stuff” are DIY friendly, they’re even more attractive. Fireplaces can make a space feel cozy and comfortable, but not everyone was blessed with a built-in version. Thankfully, electric fireplaces are inexpensive, starting at just a couple hundred dollars, and are easy to incorporate into your home. “If you don’t have a chimney or simply want to avoid the hassle of a wood-burning or gas fireplace, electric fireplaces provide an alternative to traditional systems,” said the Topeka Capital-Journal. They are also super easy to install since all they require is a power outlet and no chimney or venting, although, if you plan on setting it into a wall, you might need to hire outside help. Once you install that fireplace, you may want to trim it out to make it look pretty. DIYers swear by Airstone veneers, which look like stacked stone but are light, durable, and easy to install. If you want to redo a large space, small products may not be an answer. These faux panels and sidings “are made of a high-density polyurethane” and are “molded from actual rock, stone, and brick, so they are lightweight, durable, realistic and easy to install,” said FauxPanels.com. “Whether you are a homeowner or builder, you can install the panels yourself for a fraction of the cost and time.” These panels could provide an easy update to the exterior of your home or transform an interior space that is calling for a little character. Their sister company, FauxWoodBeams.com, also has faux beams that can give your ceiling some interest without the high cost of real wood beams. Peel-and-stick wallpaper has grown from being a novelty to being a legit interior design option, and not just for those who can’t do (or can’t stand) “real” wallpaper. For those of us who like to change our décor a lot (guilty!) temporary wallpaper from companies like Walls Need Love are a godsend. The idea of peel-and-stick is a DIYers dream, and it goes beyond wallpaper. This peel-and-stick option gives you the look of real stone in an easy-to-apply, easy-to-manipulate, and easy-to-remove package that will look great on a backsplash. They are pricy, at about $23 a piece (which covers one square foot), so it’s not exactly a budget answer. But if you want stone without the installation hassle, this could be for you. Quartz is the single hottest countertop product on the market today, having surpassed granite. One of the reasons today’s homeowners are choosing to go this direction: the ability to get the look of upscale, high-maintenance marble at a lower cost and without the abject fear of a stain or scratch that could ruin your expensive counters. 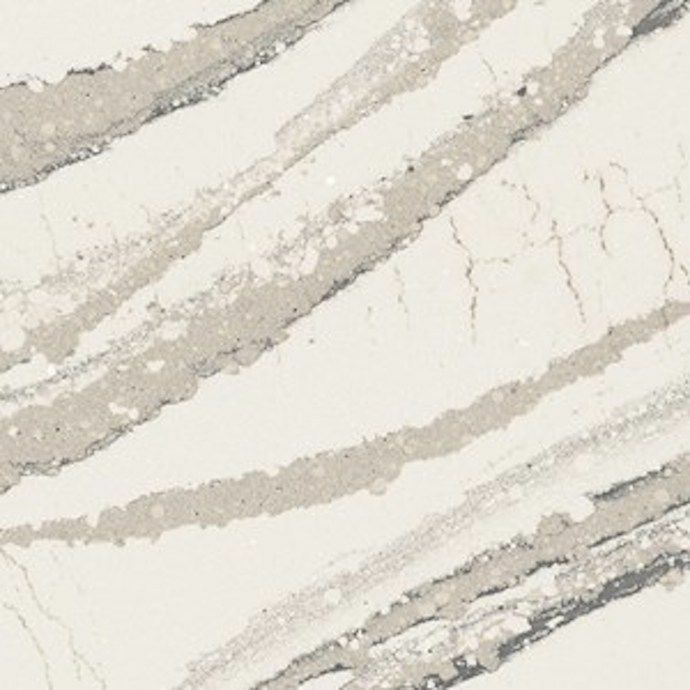 If you want to run marble up your walls, creating a rich backsplash look, you could be talking about thousands of dollars. These peel-and-stick vinyl tiles are intended for floors, but at about a buck apiece, they are an affordable option for kitchen (and bathroom) walls too. These stencils make it easy to create the look of Moroccan tile or shiplap, customized furniture and even handmade-looking pillows. 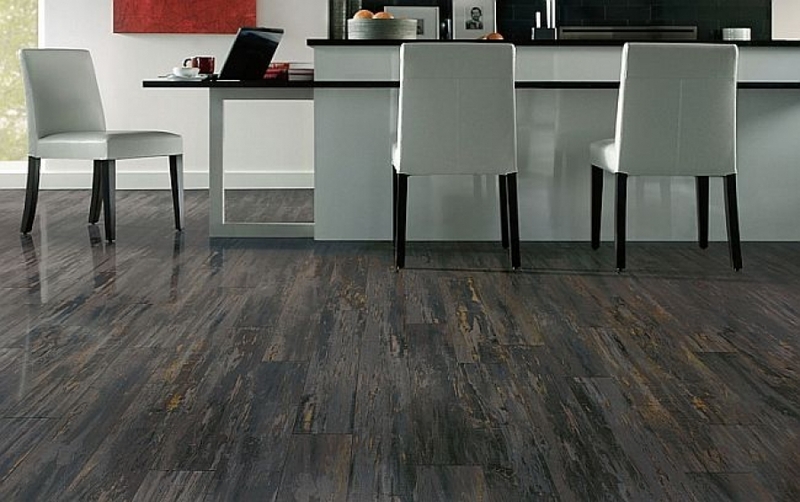 Create the impression of custom tile in your kitchen or on your floor (or both!) without the expense or hassle of remodeling. These also come in a variety of sizes (this particular Santa Ana Tile Stencil is available in 6×6, 8×8, or 12×12). You also may want to check out the furniture stencils that can transform an ugly old piece into something fantastic. This Indian Inlay Furniture Stencil piece looks…like it would take a ton of time, if we’re being honest, because of the intricate pattern. But it’s so amazing we might be willing to give it a try.